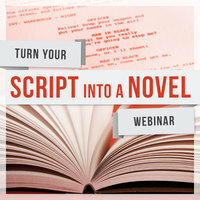 This webinar shows you exactly how to think about your script like a novel and translate it starting TODAY. 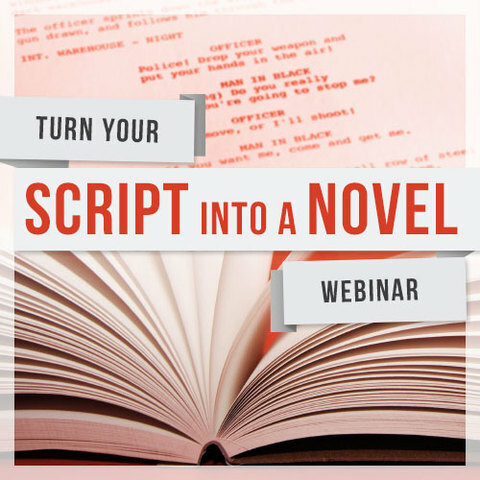 If you want to turn your script into a novel to start building an audience, get more attention for your property, and make new fans, this webinar is for you. Your script is fantastic. It’s tight, it’s filmable, and it’s ready to go right now. You KNOW it’s going to be the next big thing, but you send it out…and crickets. Nobody cares, not because your script isn’t awesome, but because nobody’s talking about it. I felt that way too. What I found is that when I turned my script into a novel a world of opportunity opened up to me. I was able to start getting the reaction directly from fans I KNEW my work deserved. I got my work read by producers, optioned, and people started to see me as an authority in my field. It never would have happened if I didn’t take my first scripts and adapt them into novels. Those scripts would still be sitting in a drawer and I would still be wondering what to do next. But I know what to do now, because I’ve done it. And I want to show you exactly how to do it too. Because I know you have an awesome story, and I know I can help you tell it to the world. Writing a novel isn’t that scary. Not when you have somebody lay out exactly how to do it. Writers who want the tightest package to market to production companies, agents, managers, etc. Russell Nohelty has written a little of everything in his life; movies, series, web content, articles, and nearly anything where the pen can conquer the sword -- along with many where it couldn't. Russell founded Wannabe Press in 2014 after he got sick of the publishing bureaucracy. After yet another delay from yet another publisher, he bought back all the rights to all of his properties and vowed to do it himself from then on out.